After a two week holiday of over eating unhealthy types of food I am in need of cleaning up my diet. All good things must come to an end! One of my favourite summer dishes is tomato salad. So easy, tasty and healthy. It goes with everything. 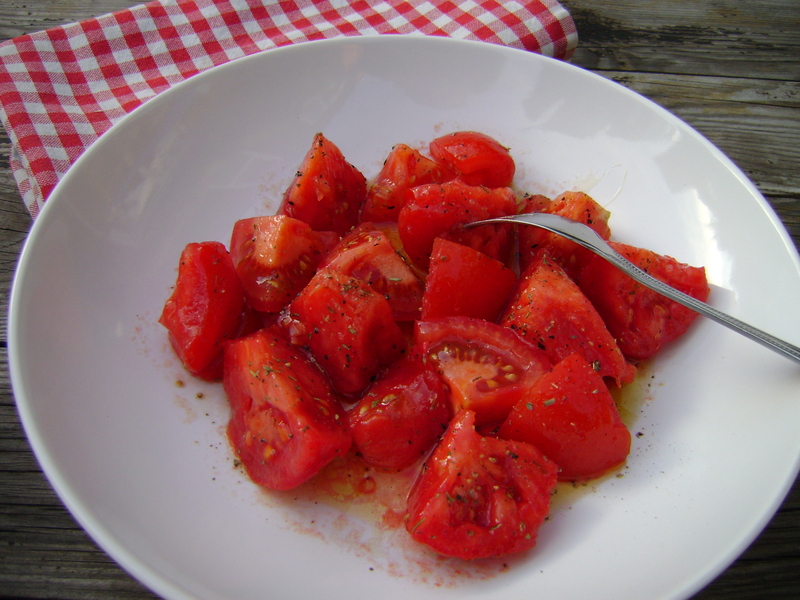 I first experienced tomato salad many years ago on a holiday to Greece. We were served the most delicious tomatoes and bread with every meal. This was back when mass-produced tomatoes in the UK had lost all flavour, thankfully, if you look carefully tomatoes have improved since then. I asked in one of the tavernas how they made the salad and was surprised to find only 4 ingredients, yep just tomatoes, local olive oil, salt and local oregano. This was also back in the day when you could bring litres of olive oil home in your hand luggage, which of course I did! If I can get it I like to use olive oil from the Kalamata region of Greece, its peppery taste takes me back to Stoupa every time! I recommend having tomatoes at room temperature, the fridge kills their flavour! Any tomatoes will work, large or cherry just choose the ripest/reddest you can find, the cost doesn’t matter as long as they are good and ripe. If the basics range in the supermarket look redder than the organic, best of range then get the cheap ones! Even expensive tomatoes can be duds! 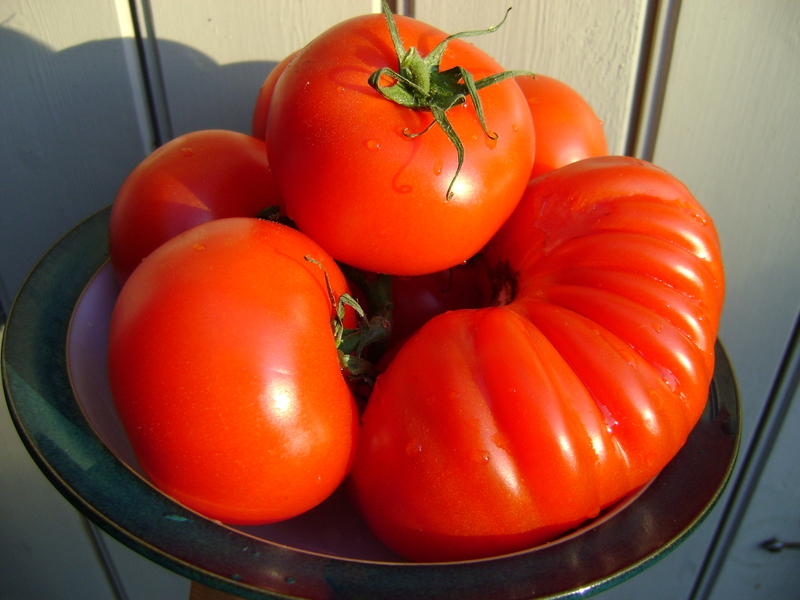 Wash and chop the tomatoes into large chunks or is using cherry tomatoes chop in half, add to your bowl. Sprinkle with salt, oregano and pepper. Stir gently and leave for a minimum of 10 minutes to let the flavours infuse. The salt will also draw the tomato juice out which is delicious for dipping bread into. Serve with bread as a simple lunch or alongside grilled chicken or fish for a healthy main meal. This entry was posted on August 28, 2011, 11:23 and is filed under Salads. You can follow any responses to this entry through RSS 2.0. You can leave a response, or trackback from your own site. Don’t feel so bad. Even here in Southern CA our tomatoes are less than great for most of the year! Yes, let’s get back to our healthier diet – we can coach one another!